Smartphones have turned everyone into a photographer, and the ubiquity of filters has meant that mediocre photos can easily be transformed into Like-bait on social media. But when it comes to getting the best shots, there is plenty of room for improvement, and Canon wants to teach the swarms of rookie photographers that visit New York the basics. 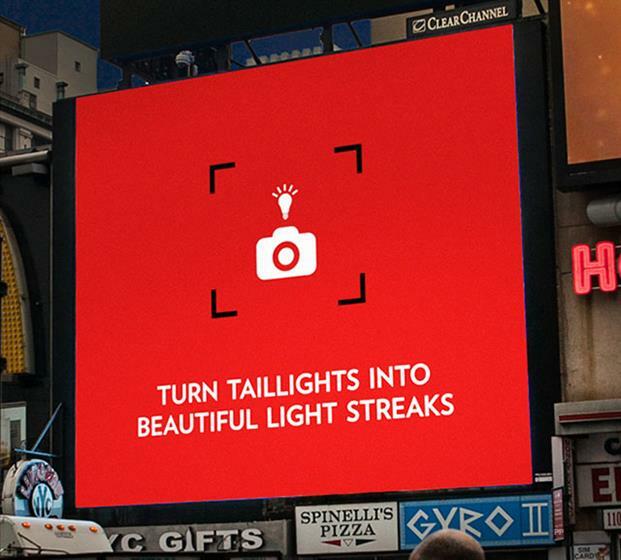 The camera brand has teamed up with 360i to roll out a digital billboard campaign at the city’s most photographed landmarks and locations — the Flatiron Building, Brooklyn Bridge and Central Park South — which they have tracked using social media. 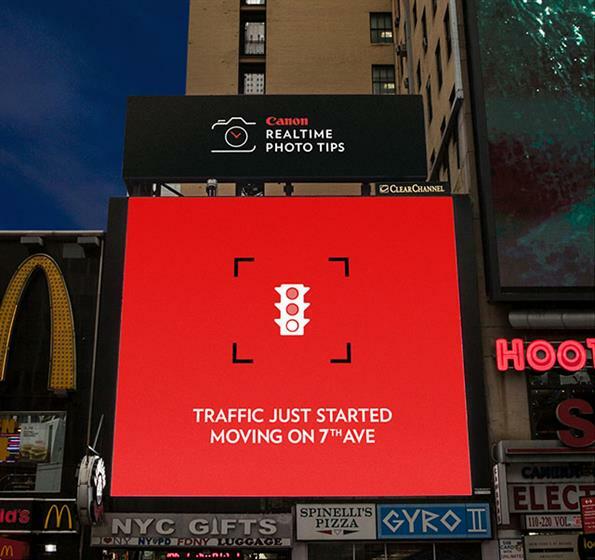 The billboards display tips on how to take better photographs. These messages rotate, depending on the time of day, weather and lighting conditions, powered by real-time data. 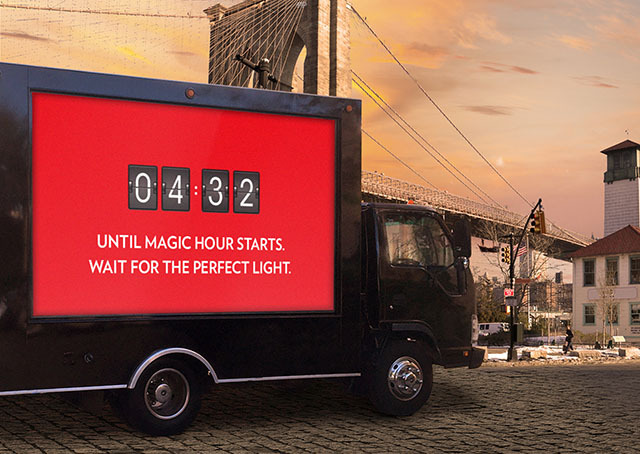 For example, one of the billboards tells tourists when "magic hour," which is the time of day before the sun sets, when the daylight is optimal for photography, begins. A team of experts will also be on the ground at the locations to offer photography advice. Canon is encouraging people to share their images using the #RealTimeTips hashtag and has also set up a website containing these tips. This campaign is an example of Canon’s wider strategic push to focus on the craft of photography and reinforce the community around the brand. Earlier this year, it worked with Michael Apted, the filmmaker behind "Gorillas in the Mist," to produce a feature-length documentary called "Bending the Light" about the art of the camera lens, featuring notable photographers and filmmakers discussing their craft. The rise of smartphones has eaten away at the camera market, as the mobile device becomes a more convenient way for many consumers to take photos. In the past, Canon said that it is not looking to compete head-on with smartphone manufacturers, but rather appealing to consumers who want higher quality cameras. Apple’s "Shot on the iPhone 6" campaign, which ran this year, however, shows Apple’s intention to do the opposite, by showcasing how the smartphone can do what a high-end camera can. In a similar vein to the Shot of the iPhone 6 campaign, earlier this month Canon rolled out a video to promote its entry level DSLR, the EOS Rebel, shot using that device. The ad, created by Grey New York, features dare devil wire walker Nik Wallentas.